We’ve had the pleasure of having Amanda on our team since 2007. 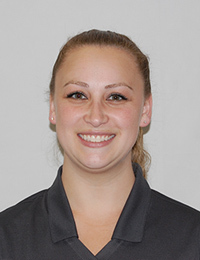 The best part of her job is working with our team and Dr. Caruso to provide beautiful smiles and a warm, welcoming atmosphere where everyone feels special. She also enjoys the opportunity to get the chance to work with our patients one-on-one, and loves getting to know them and their families, their hobbies, and interests. Amanda especially enjoys sitting chairside with Dr. Caruso, whom she deems a wonderful, down-to-earth doctor who treats everyone equally. Amanda is married and has two sons. Her family is very close, and they spend a lot of time together. This includes fishing, camping, and playing sports. When time allows, Amanda enjoy archery with her husband and brother. 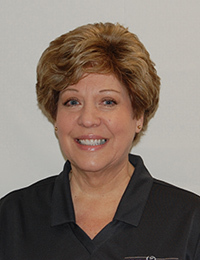 Cindy's career in the dental field began more than 30 years ago. In the office, you can usually find her helping Dr. Caruso chair side to give our patients the smile they’ve always wanted. 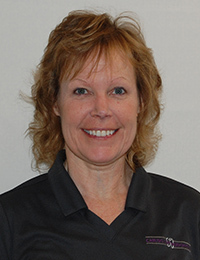 Cindy loves working with our patients over the course of their treatment. Watching their smile progress over time until they are smiling ear-to-ear upon completion of their treatment. 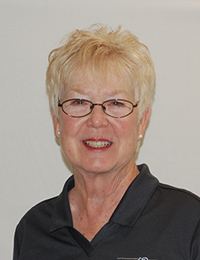 At home, Cindy is married, and enjoys spending as much time as she can with her children and grandchildren. She also likes gardening, crafts, and sewing. Colleen brought her talents to Dr. Caruso’s team in 2009, and among her many duties, serves as our financial and insurance coordinator. She also does many behind-the-scenes tasks that keeps our office running smoothly. For Colleen, it is amazing to see how orthodontic treatment makes such a huge impact on our patients and the confidence it gives them. Colleen also feels lucky to work in an office where the entire staff sincerely cares about their patients. What she loves most is that patient care is top priority in our office and that we take the time to explain in detail what we are doing and why, so that our patients are informed and at ease. When she’s not in the office, Colleen spends her time doing fitness-related activities. This includes teaching group exercise and working on sculpting her body (she is a competitive bodybuilder). She has also recently got involved in skating with the Central New York Roller Derby. Colleen also has two children, Sydney, 19, who is enrolled in the U.S. Navy, and Kyle, who is nine. 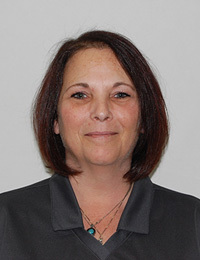 Elaine is the in-house lab technician in our Herkimer office. She is responsible for fabricating all of the orthodontic appliances and retainers which help create and maintain our patients' dazzling smiles. Elaine can also be found sterilizing dental instruments and pouring models for diagnosis and treatment purposes. 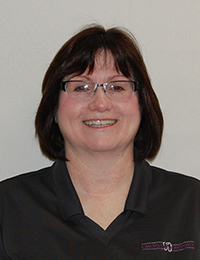 Elaine joined our team in 2013 and enjoys learning new things every day. She also loves the happy and friendly environment we have created, not to mention our efficient and friendly staff. When she’s not in the office, Elaine enjoys going on walks and spending time with her husband, daughter, and son. She also likes camping and watching her son play sports. And a fun fact: she works part-time as a hairstylist! More about Jaden is coming soon. When she’s not perfecting our patients’ smiles, JoAnn loves spending time with her husband, John. They have been married for 32 years and enjoy cooking, traveling, and entertaining guests. They have two adult children, Nicholas, 29, and Melissa, 27. More about Jennifer is coming soon. More about Jessica is coming soon. More about Jill is coming soon. 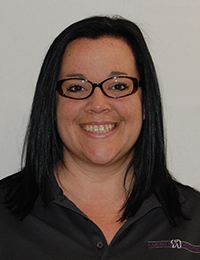 We’ve had the pleasure of working with Lisa in our Oneonta office since 2010. Among the many hats she wears in the office including preparing dental models, fabricating retainers and sterilizing instruments. Lisa enjoys coming to work every day because we work so well as a team, and because of the fact that Dr. Caruso and our team are doing something that can really help improve our patients’ lives and self-image. 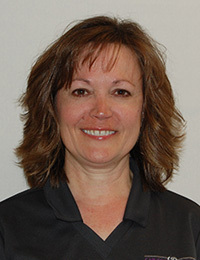 In her spare time, Lisa enjoys being a mom, as well as traveling to the ocean, photography, fishing, and archery. 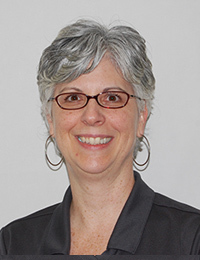 Michelle, has been in the orthodontic field since 1990. She makes sure everybody who comes through our doors feels welcome and comfortable. 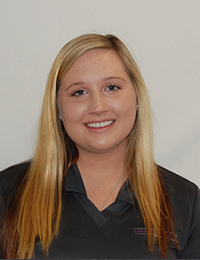 She enjoys working with our patients, getting to know them, and watching them grow and mature throughout their orthodontic treatment. Michelle loves coming to work every day because of the variety and because she learns new things every day. She likes working alongside Dr. Caruso because he brings the latest techniques to our practice, with great end results. 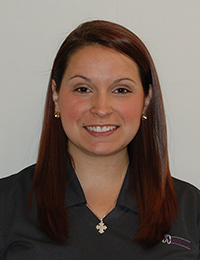 She also likes that he is family-oriented and friendly to both our staff and patients. Married with two adult sons (Devin and Nolan), Michelle enjoys walking, biking, cooking, and baking in her spare time. 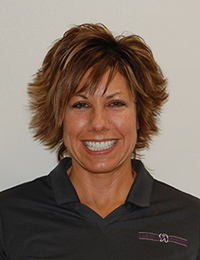 Teresa, who has been in the Orthodontic field since 2005, works chair side with Dr. Caruso and loves making our patients feel good about themselves and their smiles by providing first-rate orthodontic care during their treatment. She truly enjoys seeing the incredible results and the increased level of self-confidence that are achieved by having a gorgeous smile. 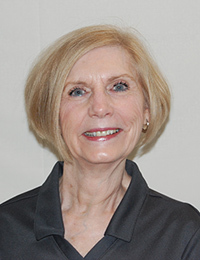 She takes pride in providing our patients with the best possible service. Teresa, who is married with two children, loves spending time with her two West Highland white puppies. She also enjoys being around her family, going out to the movies, and camping. More about Rhonda is coming soon.